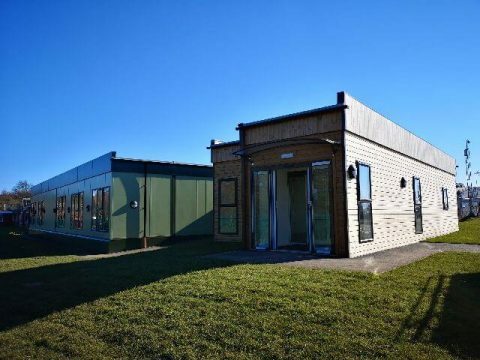 We supply many modular buildings to schools and academy’s for use as additional classroom space and quite often we have to cross a school field to get to the site location. This would be impossible without Trackway that enables the crane and haulage to travel over a temporary road without getting stuck in soft ground. A tight space challenge we couldn’t say “neigh” to! 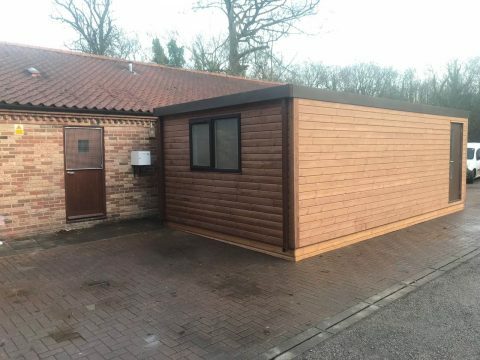 Delivery Services Ltd have taken delivery of one of our 2 bay Clearview buildings, a “red letter day” for them, and another little opportunity to “post” about, pun wise. 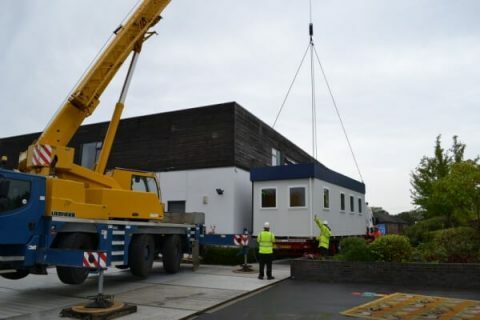 As in this picture of a recent hire delivery being craned in, we can “lift your expectations” with new accommodation. 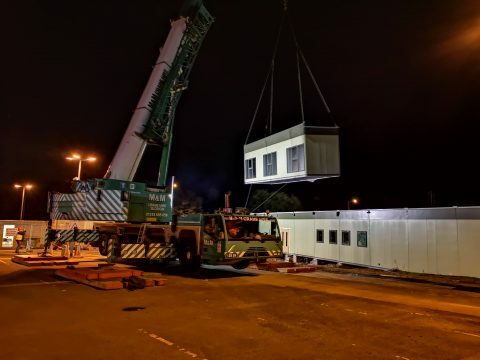 We offer very favourable hire terms across a wide range of modular buildings and jackleg cabins. Whatever your requirements, ask us to quote you. We’re sure that you will be very pleasantly surprised. We were “swift and bold” with Swift and Bold. Tongue in cheek, or tongue in ice cream? 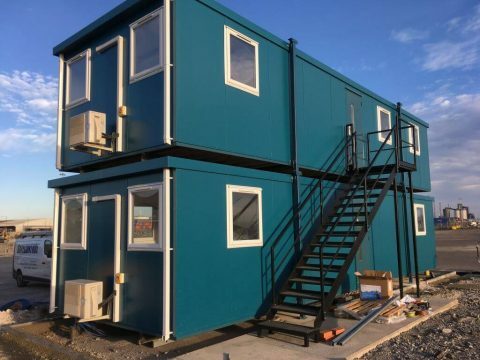 As big as jackleg cabins get – what a beauty!